So we had a couple of fellow artists helping out somewhat with the redecoration at the House of Pain(t). 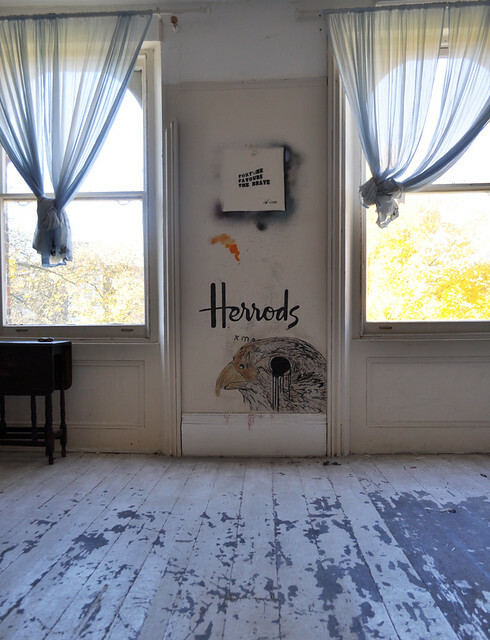 We’ve already covered our attempts to finish up Perspicere‘s work in the thread room and now we’ve got a couple of pieces where we’ve done a little work with artist Agent Provocateur (who unfortunately has nothing to do with the lingerie company of the same name). 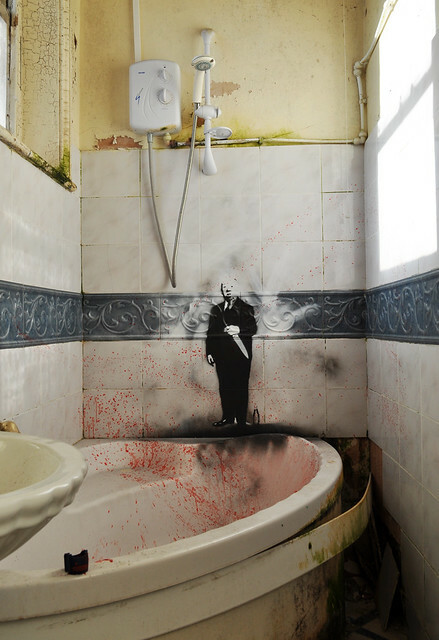 First up we have a beautifully placed reference to Hitchcock’s ‘Psycho‘ that I just couldn’t resist adding the blood splatter to. I think this is a top notch bit of placement and the ‘blood’ just really finishes it off. It really isn’t the kind of place you’d want to have a shower (even if the ceiling hadn’t caved in somewhat). 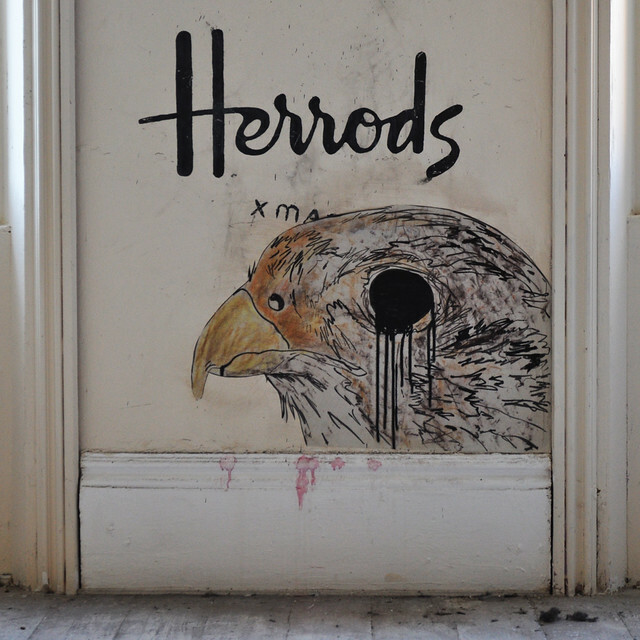 And then we have our eagle eyed wheatpaste which just seemed to fit nicely over AP’s ‘Herrods’ logo which was already on the wall.